Best known as one of the stars of the Fast Show (where he played characters such as Dave Angel -- Eco-Warrior, Tommy Cockles and Competitive Dad) and Bellamy's People co-starring Paul Whitehouse, Simon Day tells the shocking, sometimes sad and hilariously funny story of his life so far. Simon Day's memoir is a story of unlikely successes and secret lives. In the early 1980s he was a petty thief living rough in South East London and stealing whatever he could to fund an addiction to fruit machines. He was arrested and sentenced to borstal. Simon's memoir tells the story of how this nice, middle-class boy from the suburbs -- a self-confessed 'crap criminal' -- served time with the professionals and hard-cases in a jail fiercely divided along racial lines during the height of the 1981 riots. It moves on to the lucky breaks, the talent getting recognised, the 'redemption' of his years as a celebrity ...with the parallel story of his addiction which -- with money and success -- became fuelled by drugs. 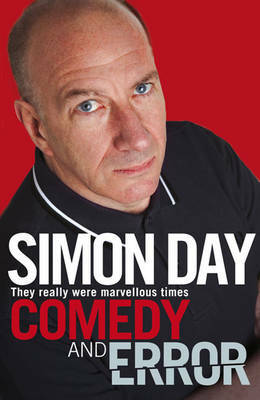 Dark and dramatic, Simon Day's memoir is a laugh-out-loud-funny story of drugs, crime and comedy.